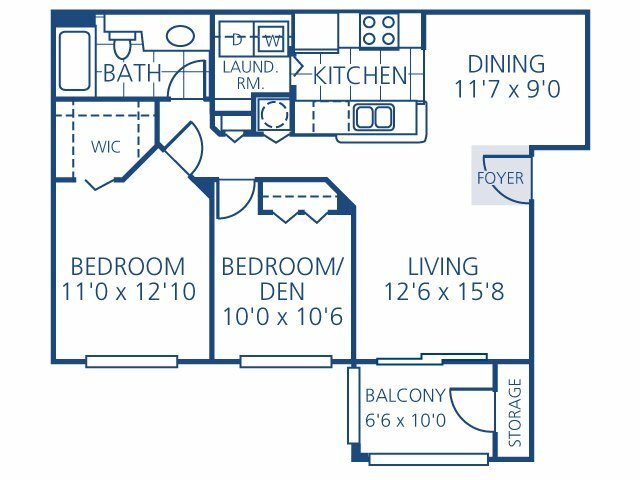 The Myers floor plan is a two bedroom, one bathroom home. The galley kitchen opens to the dining room and living room and offers access to the laundry room. This home is complete with a private patio/balcony that includes storage space.